Experience! Expertise! Enthusiasm! These are three words that describe what Ben Kelly offers his clients. After a successful career in the professional sports & art publishing industries, Ben decided to become a Realtor in 2003 to combine his entrepreneurial spirit, passion for working with people, and love for historic and architecturally significant properties. As a licensed Realtor, Ben continues to draw upon his education and vast professional experience to offer his clients unparalleled professionalism and client-focused service. When working with clients, Ben's main objective is to help his clients assess their real estate goals and to develop a strategic plan to help them to reach those goals in the most efficient and stress-free manner. In the process, Ben strives to develop long-term relationships with his clients and is completely dedicated to always working with his clients' best interests in mind. Ben was raised in La Cañada Flintridge and attended La Cañada High School (class of 1987) before attending UCLA where he graduated with a bachelor's degree in Psychology & Business in 1992. He has been married to his wife Cristina since 2008 and has two wonderful daughters, Victoria and Alexandra. His family resides in La Cañada Flintridge. Beautifully reimagined in 2016 with a designer's elegant touch, this delightful 3-BR/2-BA home is located in the coveted Upper Deodars area in close proximity to Palm Crest Elementary. This house combines original 1930 character details with numerous thoughtful updates in a bright and open floor plan. Stunning brand new gourmet kitchen with Thermador SS appliance suite, Walter Zanger carrara marble counters, farmhouse sink, and beveled subway tile backsplash. Spectacular Great Room with beamed ceilings, a quartz faced fireplace, and balcony with views to the front yard. Exquisite stylishly designed bathrooms with carrara marble counters & shower walls and Italian porcelain tile floors. NEW floors throughout. NEW interior & exterior paint - designer palette. NEW 200-AMP electrical panel & wiring. NEW water heater. Copper plumbing. Central A/C & Heating system. NEW recessed lighting & light fixtures. California basement. Crown molding. NEW redwood decks in front & back yard - great for outdoor entertaining. Beautifully landscaped yard with grassy area, mature trees and colorful roses. 2-car detached garage & 100+ SF storage room/ workshop. Connected to public sewer system - buyer to assume bond. In award-winning La Canada Unified School District. Nestled in the desirable Adams Hill area of Glendale, this delightful 1928 English cottage combines stunning original architectural details with a warmth & charm only seen in homes of this era. The large formal living room offers 9-ft. barrel ceilings and a wood-burning fireplace. The dining room and cozy breakfast room are located directly adjacent to the kitchen and offer abundant natural light and views to the front yard. Original HARDWOOD floors throughout. Private 300 Sq. Ft. STUDIO above the garage with built-in desk, closets and sleeping cove. Large basement (approx. 1,000 SF) which could be a fantastic workshop storage room. Copper plumbing. Newer electrical system. Newer roof (2013). The spacious & private brick patio is great for al fresco dining or outdoor entertaining. Beautifully landscaped with mature fruit trees and roses. Primely situated between Downtown Glendale, Old Town Pasadena, and DTLA and conveniently close to the trendy shops and dining in Eagle Rock, Silverlake and Highland Park. Brand New Construction! This spectacular newly built 5-BR / 7-BA Cape Cod style home beautifully combines a bright contemporary floor plan with only the finest materials and detailed custom craftsmanship in 6,000+ square feet of luxurious single-level living space. Fantastic value at $765/SF for High-End Brand New Construction. Located on a beautiful tree-lined street close to the center of town, this home has everything you are seeking, including stunning 10' - 14' ceilings throughout, a beautiful state of the art gourmet Kitchen that opens to the Family Room, and a luxurious Master Bedroom suite with resort spa like bathroom. Enjoy endless entertaining opportunities as you flow through 16 ft. Kolbe sliding glass doors from the Family & Dining Rooms to the beautiful back yard that includes a dramatic blue stone patio, sparkling brand new pool & spa with large Baja shelf, outdoor Kitchen and expansive grassy play area. The numerous upgraded systems include state-of-the-art home automation, built-in home audio, home security and wi-fi network. Designed by local renowned architect Jay Johnson. All of this and much more....in the nationally renowned and Blue Ribbon award-winning La Canada Unified School District. This beautiful one-story home features 4 bedrooms, office, 3 baths and sits on a large flat lot directly across from exclusive Oakmont Country Club. The home was built in 1949 and tastefully remodeled and expanded in 2003, keeping the old charm with a new kitchen, family room, master bedroom/bath, laundry, etc. The home offers a large living room with vaulted ceilings and adjacent office, both with cozy fireplaces. The large dining room is adjacent to the chef's kitchen which features granite counters, center island, top of the line appliances and a separate breakfast area. The large family room has a fireplace, built-in cabinets and French doors opening to the rear yard which makes it perfect for indoor/outdoor entertaining. The master bedroom has ample closets and a master bath with dual sinks, vanity and separate shower and tub. There are three additional large bedrooms, 1 & 3/4 baths, laundry room, dog run and plenty of room for a pool. What a great home in a great neighborhood! This beautifully updated single-level Ranch style home offers 5 Bedrooms and 2 Bathrooms on a flat 15,000+ SF lot with a sparkling swimming pool and spa. This home's features include a newer Kitchen with granite counters, stainless steel appliances, island breakfast counter, and large eat-in area. Formal Living Room views to the front yard. Large Family Room adjacent to the Kitchen. 3 spacious bedrooms including a Master BR suite with dual closets. Two recently updated bathrooms including Master BA with soaking tub and separate shower. Plantation shutters. New interior paint. Recessed lighting. Ceiling fans. Central A/C & Heat system. Gas burning brick-faced fireplaces in Living Room & Den. The entertainer's back yard includes a sparkling swimming pool with diving board and spa and large patio with built-in barbeque. Beautifully landscaped with large grassy play area and numerous fruit trees. Ample parking with attached 2-car garage with direct access into home and large driveway that can accommodate an RV. A seamless blend of old world charm and modern sophisticated living, this exquisite 1924 Italian Revival estate, known as Villa delle Favole, graciously rests on over 1 acre of flat land on one of San Marino's most revered streets...Oak Grove Avenue. Designed by Pasadena architect Clarence L. Jay, this home features numerous original character details including a stunning boxwood parterre garden as well as a dramatic Library with wall of leaded glass windows and Batchelder tile fireplace. This home has undergone several extensive renovations over the years including those by world renowned designer Matthew White who is on Architectural Digest's list of the world's finest designers and includes a new Cynthia Bennett & Associates designed gourmet Kitchen and a newly reimagined sparkling swimming pool & spa with outdoor kitchen and sundeck. Entertain and host guests in the detached 1,200 Sq. Ft. Guest House that boasts a Living Room, spacious bedroom, full Kitchen, and bathroom with steam shower. This home truly offers everything you are seeking in a character estate home in one of Southern California's most treasured communities. All of this and more....in the nationally renowned and award-winning San Marino Unified School District. This immaculate 1-bedroom condo is located in the highly desirable Olive Tree complex in Pasadena's Cal-Tech/South Lake district. Highlights of this unit include: brand new carpet (2015) and interior paint (2015), a stylishly updated bathroom, Central A/C & Heat, French doors that open to a spacious private balcony patio, large walk-in closet. Light and bright kitchen with refrigerator and stove included in sale. This complex features a heated swimming pool & spa, secured underground parking, community recreation room, sauna, and courtyard patio. There is one dedicated parking space in the subterranean garage. Community laundry is convenient to unit. Just one block from Lake Avenue's trendy shopping, restaurants and entertainment. Ready to move right in and enjoy, this unit is priced to sell quickly. This beautifully remodeled townhouse in a gated 6-unit complex in Montrose features 3 spacious bedrooms & 2.5 newly remodeled bathrooms. The formal entry opens to the bright and open Living Room with fireplace and high ceilings. The large open Dining area features a pass-through window from the newly remodeled Kitchen that offers a brand-new Samsung stainless steel appliance suite, quartz counters, subway tile backsplash, shaker style cabinets, ceramic tile floors with cozy breakfast area. The Master Bedroom suite includes vaulted ceilings, a custom walk-in closet and a beautifully remodeled bathroom with mosaic tile floors and dual vanities. Central Heat & Air System. Recessed lighting. New interior paint. New light fixtures. Wood-type floors throughout. Ample closet space. The private 2-car garage with direct access into home offers additional built-in storage and laundry area. Enjoy a private patio off the Living Room. Located in the heart of Foothills, just minutes from Old Town Montrose shopping and restaurants and conveniently close to Glendale, Downtown LA, and Old Town Pasadena. Award-winning La Crescenta schools. $350/monthly HOA includes water, trash, roof and common ground maintenance. Beautifully renovated from top to bottom in 2015, this 3-BR/3-BA home is centrally located in the heart of town...just steps from the La Canada Flintridge Town Center. Among the extensive and thoughtful renovations, this home features a stylish NEW kitchen with quartz counters, stainless steel appliance suite and breakfast counter, all NEW bathrooms incl. a Master suite with glass walled shower & luxurious jetted tub, NEW interior & exterior paint, NEW copper plumbing and waste lines, NEW electrical panel & wiring, NEW roof (30-year comp shingle), NEW Central HVAC system, NEW flooring throughout, NEW tankless water heater, NEW LE dual-paned windows and doors, NEW landscaped yard & sprinkler system, NEW LED recessed lighting, NEW crown molding, and much more. Carrara marble fireplace in LR. Knowing selling our house after many years was going to be an emotional and difficult task, we interviewed a few prominent realtors in our area. Ben Kelly responded to our request immediately and came to us very well prepared. We chose Ben because he was very professional, ethical and very positive. Most of all he was a very likable person. We were certainly proven right with our choice when we saw him in action. He did a fantastic job throughout the entire process and followed a wining strategy to sell our house. While he was very strong in handling different situations, he was patience with us and was able to masterfully overcome many obstacles. we are very happy with the result and will recommend Ben Kelly to our friends. As part of a relocation out of state, my wife and I decided to list our Pasadena home which we had lived in for the past nine years. We had done some significant upgrades, however, we knew to be effective in the sale, we probably had a few items to address prior to listing the home publicly. And although we were hopeful of having a timely sale, we still had concerns as timing was extremely important. Complicating the sell was the fact that our home is a \"two on a lot\" with tenants occupying one of the homes. After interviewing several highly qualified and reputable realtors, we ultimately selected Ben to lead the effort to sell our home. Ben was very effective in helping us in several important areas: *choosing an offer price *identifying cost effective upgrades and/or staging options (even providing highly trustworthy handymen to serve our needs) *working with tenants to schedule required maintenance, appraisal and inspections. We settled on the list price and even before listing we had an offer for over full price. Despite this, we were only a few days from the public listing and decided to proceed rather than accept the offer. We had four offers within the first several days and settled on a buyer and several back ups. Now the fun began. After an inspection, the buyers wanted to negotiate repairs. If it wasn't for Ben's negotiating and relational skills, the sale may have ended there. However, we were able to meet in the middle and proceed with the sale. Ben had saved us thousands of dollars. The buyer's lender promised a lot but was also very demanding with repeated conditions that needed to be met. At one point, we were ready to proceed to the back up, but Ben's experience and wisdom derived from similar experiences allowed us to proceed with the buyer--pushing just enough but also showing mercy when needed to expedite the process. Complicating the process further was the fact that the buyer's agent took an international vacation just around the scheduled closing. Finally, Ben was very effective in helping us negotiate with our tenants to allow just the right amount of access that allowed prospective buyers the opportunity to view the leased unit. In short, I have no doubts that had it not been for Ben's extraordinary professionalism, our home would not have been sold in a timely fashion for the amount desired. We received our asking price and were able to proceed with the purchase of our new home without delay or complication. My wife and I have nothing but high praise and unreserved recommendation for Ben. Thank you. Ben was an incredibly patient and competent realtor. We had such a good experience, even in a tricky real estate market, and a difficult sale. The house was in terrible condition and had major problems during escrow. He was able to work out some concessions with the seller and ultimately close the deal. He is able to navigate any situation with grace and kindness. He was able to close a very difficult deal, as a result, I refer him to people as a capable and honest realtor, one that is also a pleasure to work with. Ben helped us find and purchase a home in an extremely competitive market. We had been looking for a home for almost a year when we turned to Ben for help. Within weeks he had us contending for homes that we otherwise would not have had the opportunity to see. We were only able to purchase our current home because of Ben's knowledge of the market and connections with other real estate professionals. He is friendly, very easy to work with and has great staff supporting him. 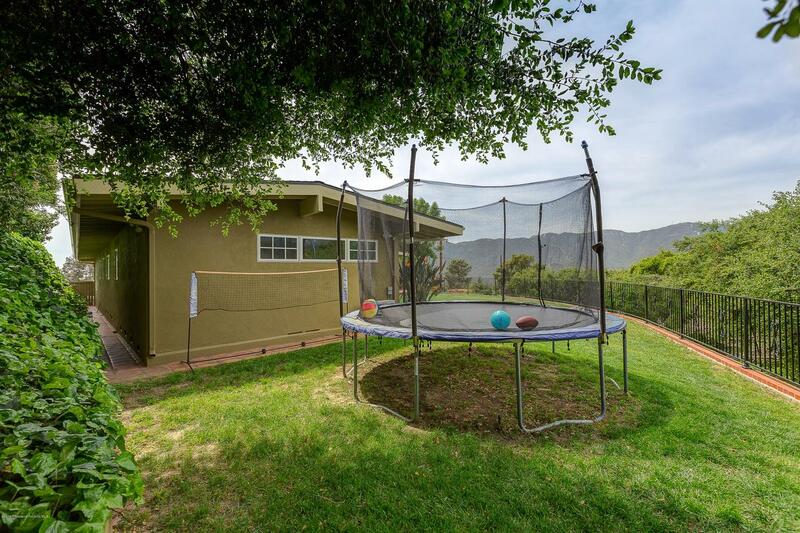 Ben Kelly has proven beyond a doubt he has become a top agent in the La Canada market. My wife and I have worked with Ben for at least seven years, and known him for ten. In that time we bought and or sold eight homes with Ben Kelly. When I first met Ben I was working with a different agent. However, without expectations he helped us out in a variety ways for years, and this is a rare quality. I strongly recommend Ben Kelly to anyone who is selling or buying a home. Ben is a fantastic agent...he was extremely responsive and make himself available any time we needed him or had a question....he went above and beyond in helping us ...i would highly recommend ben ...i dont think we would have gotten our new house without him! Ben is a model for a great real estate agent! Over this last year he helped us sell our home, then find a new home. He sold our home with multiple offers within 1 week after put it on the market. He took it over from our previous agent who was unable to sell it over the previous 6 months. Ben took the very patient approach of doing a detailed market analysis, bringing in a professional stager to make the home more appealing, giving us time to respond to feedback from stager. The end result was a little more time to put the home on the market, but selling the home within 1 week. In addition, he took the responsibility of responding to buyers needs or visits to the home during escrow. When looking for a home, he took the approach of getting a good feeling for the home we were looking for. Instead of taking us to see numerous homes, he instead did his research to identify potential homes for us. When we did find the right home he used his keen negotiation skills to close the deal quickly. During both escrow periods, he was accessible, and responsive, taking full ownership of ensuring smooth escrow periods, and finding simple ways to overcome hurdles as they might have appeared. Ben earned our highest recommendation, and he is our only stop should we ever enter the market again! Great person! Personality. Extremely likeable. Everyone loves Ben. You know immediately when you meet him. He is a very caring agent. His goal is to help you get to the next level. To make that transition. Very professional. in handling people, Respondsiveness is excellent. Has that immediate knowing of what is best for his clients. Does not push. or pressure. buy knows when to guide you . Rate this agent. as a first class realtor above & beyond. Ben Kelly first of all, is a friend, he is thoughtful and kind. He is a great realtor. one you can trust. He sold our mother's home, our daughter's home and has stepped in to help and offer advice. We were in good hands with him. Thanks Ben! Dear Ben, Thank you. I am so grateful to you for all of your diligence and hard work in helping me to buy my house. This opportunity would never have come without you and I thank you for everything you did and for thinking of me when this house came up. Thank you again and I wish you and your family the very best. See you around town. We love Ben. When we moved out of California in 2006, he was recommended to us by friends. Ben was responsive, attentive and it really felt like he knew his stuff. The selling process went really well and we were very pleased. We stayed friends on Facebook. Fast forward 10 years, we had an opportunity to move back and we sent the email really quick telling him he was hired. In that time, Ben had really grown his business. At times, we worked with people who worked for him, but they were all really great as well, and he remained personally involved (and informed) during the entire process and was the one who accompanied us on our house hunting day (we didn't have a lot of time and weren't able to give him a lot of warning, but he made time for us.